59K MILES 5.6 V8 WARRANTY ALL FACTORY REAR BARN DOORS SIDE SLIDER FACTORY NAV REAR CAM POWER SEAT BRIGHT WHITE AUTO HD CARGO SALVAGE TITLE SAVE THOUSANDS RUNS AND DRIVES EXCELLENT QUIET AND SMOOTH This van is so easy to drive and comes included with premium options that you don't usually see in a cargo van like navigation, power seat, windows, locks, keyless entry, rear camera, and cruise control. None will compare to the price for the condition and extremely low mileage. Salvage title in hand. We are a Carfax Advantage dealer. Has just gone through pre-sale inspection, smog, safety, and certification. Cancellation contract/buyback option available if you are not completely satisfied!! 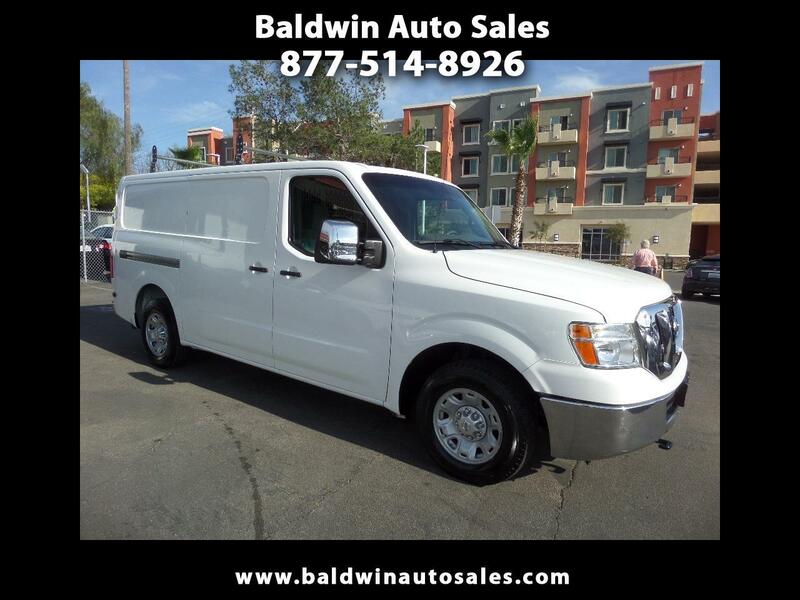 Message: Thought you might be interested in this 2013 Nissan NV.